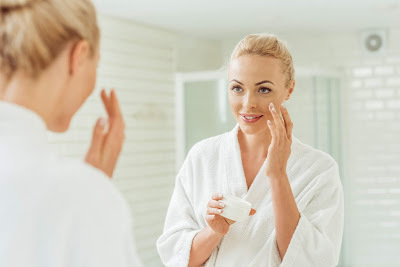 Retinol is best for women over 30 who are starting to see the fine lines and wrinkles. If your skin routine includes retinol and vitamin C and a high SPF, you are giving your skin the best chance for a beautiful life! Apply retinol products at night - sunlight can diminish their effectiveness. If you are using a serum, apply straight after cleansing. Using a retinol-based product may make the top layer of your skin dry and flaky. It’s best to apply it at night and wear moisturizer and sunscreen the next morning. Retinols give skin a rosy appearance, fading age and sunspots, and helping reduce wrinkles in problem areas on the face and neck. Retinoic acid, which is what retinols are converted into, work to increase cell turnover, stimulate collagen and elastin production, fade hyperpigmentation, and help skin stay hydrated and glowing. If that isn’t enough, with it’s ability to stimulate the metabolism of skin cells, it also reduces large pores and evens out skin’s texture. So when it comes to anti-aging, there really isn’t anything better to give you a youthful appearance. Want to start using retinol in your skin care routine - click here for the best!